Gorilla Media embarked on their longest AdVan campaign for a single Client in its 18-year history. 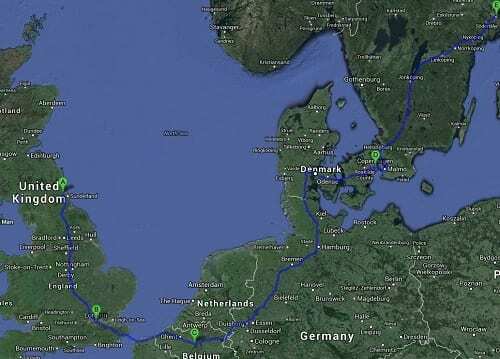 The advertising van managed to reach Stockholm via Copenhagen despite setting off during the worst storm to hit North West Europe in over 25 years. David Ogilvy once said ‘it pays to make your poster a visual scandal’. And the controversial affair website VictoriaMilan certainly grabbed the headlines when their mobile advertising billboard supplied by Gorilla Media, toured the capital cities of Europe. Featuring high-profile figures, personalities and politicians in Belgium, Denmark, Sweden and Poland the campaign has been featured heavily in regional, national and international press and TV news programmes in each of the target countries.